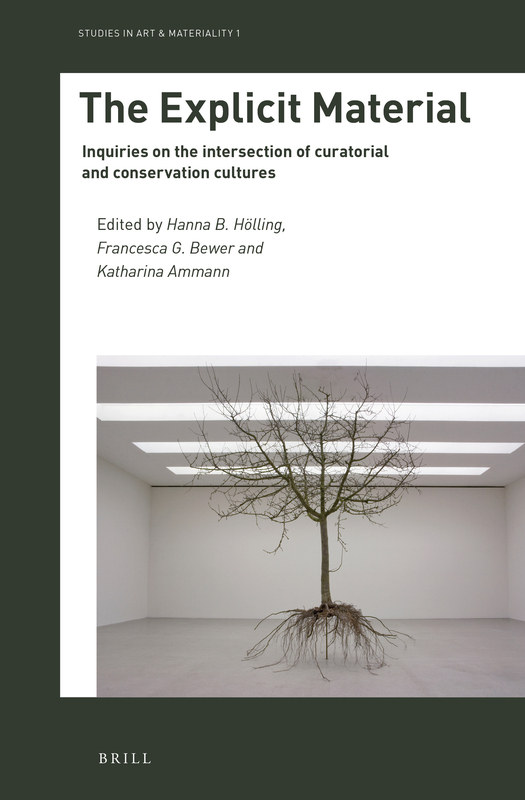 The Explicit Material: Inquiries on the Intersection of Curatorial and Conservation Cultures gathers varied perspectives from the discourse of conservation, curation and humanities disciplines to focus on aspects of heritage transmission and material transitions. The authors observe and explicate the myriad transformations that works of different kinds—manuscripts, archaeological artefacts, video art, installations, performances, film, and build heritage—may undergo: changing contexts, changing matter, changing interpretations and display. Focusing on the vibrant materiality of artworks and artefacts, The Explicit Material puts an emphasis on objects as complex constructs of material relations. By so doing, it announces a shift in sensibilities and understandings of the significance of objects and the materials they are made of, and on the increasingly blurred boundaries between the practices of conservation and curation. Paik’s Virtual Archive contemplates the identity of multimedia artworks by reconsidering the role of conservation in our understanding of what the artwork is and how it functions within and beyond a specific historical moment. Using examples of works by Nam June Paik (1932–2006), the hugely influential Korean American artist who is considered the progenitor of video art, Hölling explores the relation between the artworks’ concept and material, theories of musical performance and performativity, and the Bergsonian concept of duration—and the parts these elements play in the conceptualization of multimedia artworks. 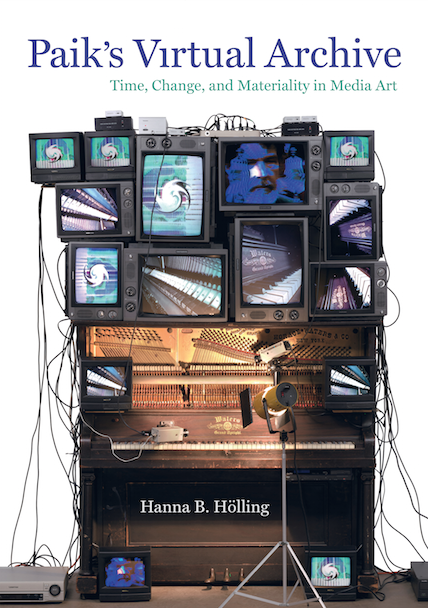 In this book, Hölling combines her astute assessment of artistic technologies with ideas from art theory, philosophy, and aesthetics to probe questions related to materials and materiality not just in Paik’s work but in contemporary art in general. Ultimately, she proposes that the archive—the physical and virtual realm that encompasses all that is known about an artwork—is the foundation for the identity and continuity of every artwork. The Met, NYU/IFA, both New York, The Getty Center Los Angeles, UCL Insititute of Advanced Studies London, ZKM Center for Art and Media Karlsruhe, SiK Swiss Institute for Art Research Zurich – for details, see the event section on this website. 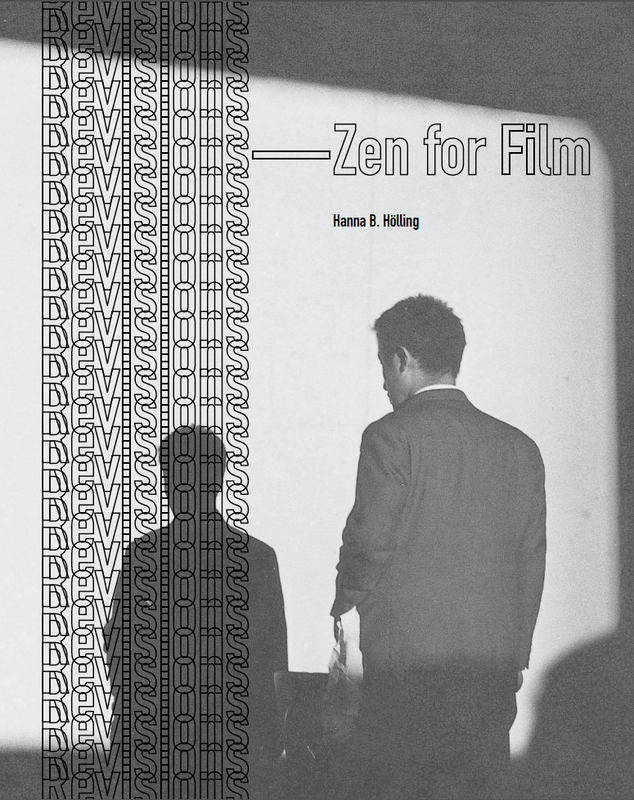 This book, which accompanied an exhibition at the Bard Graduate Center, examines Zen for Film, also known as Fluxfilm no. 1, one of the most evocative works by Korean-American artist Nam June Paik. Created during the early 1960s, this piece consists of a several-minutes-long screening of blank film; as the film ages and wears in the projector, the viewer is confronted with a constantly evolving work. Because of this mutability, the project undermines any assumption that art can be subject to a single interpretation. “Yet it is Holling’s examination, in the catalogue, of the close mutual dependency of historical, conceptual, practical, and material concerns that begs our attention. 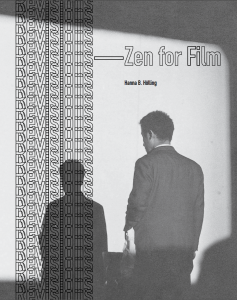 These issues are all implicated in the installation, which challenges any notion of a monolithic identity of Zen for Film; they are unpacked in detail in the catalogue, where Holling is at pains to show that considerations regarding the logistics of making and mounting the work must not be separated from the projecťs governing formal and historical themes.” Artforum, March 2016. 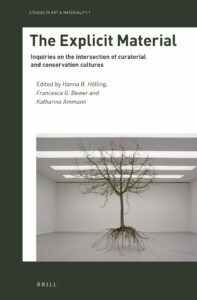 This doctoral dissertation completed at the University of Amsterdam (September 2013) poses questions that consider the constitution of conservation objects in relation to our understanding of what the artwork is. By tracing the changeability of Nam June Paik’s multimedia installations, Re:Paik problematizes the relation of their identity to the processes of transformation they undergo. It reconsiders the materiality of complex media installations with reference to their conceptual dimension and expands on their link to other ontological forms of art, such as musical performance. Because changeability may only be observed in connection with time, in my thesis, I propose to understand conservation as a process being inherently about time and involving ways of understanding time. But time seen from the perspective of media installation seems to reject the chronological matrix of conventional temporality expressed in sequential and chronological dimensions. I test the applicability of the Bergsonian concept of duration for the conceptualisation of multimedia works of art and, subsequently, argue that time governs not only objects but also their archive. It is on the basis of the archive–the final destination and the beginning of these artworks–that their identity and continuity is created.